Now your “one stop shop” for CVEs in Canada and the USA! 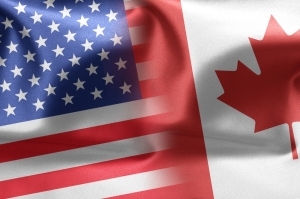 Welcomehome Relocations is excited to announce it now has the capability to produce CVE (Comparable ValueEstimate) reports for locations in Canada and the United States. They can now provide comprehensive housing cost comparisons between any departure point and any destination on either side of the border. A CVE provides benefits for both the employer and the employee. From an employer’s viewpoint, these reports are invaluable in budgeting for a relocation and, when necessary, assisting in determining mortgage subsidies for relocating employees. For the employee, a CVE means they can be assured their way of life will not be compromised should they accept a new position requiring a relocation. The CVE report takes all aspects of their current lifestyle into consideration including: neighbourhood demographics, class of housing and proximity to amenities, just to name a few. As a provider of highly specialized research to the relocation industry, Welcomehome Relocations has the expertise, experience and knowledge necessary to execute this type of analysis. They look forward to supplying CVE reports to their existing and new clients with relevant data from both Canada and the USA. (For more detailed information about CVE reports, please see: https://whrelocations.com/relocating-employees-might-need-cve/). By whradmin|August 12th, 2015|About Us|Comments Off on Now your “one stop shop” for CVEs in Canada and the USA!